I used to hate math when I was a kid. Now I love it. It can be so easy. Check it out! 1. It is 7:30 a.m. and I went to bed at midnight then could not sleep for whatever reason from 2-3:23 a.m. I have a 12-ounce mocha coffee and a 42-ounce bottle of water. About what time will I feel like throwing my computer mouse across the room? 2. There is a tree in our easement that is 35 feet tall. There has been a drought and the tree has a stress fracture. How many times will I have to call our electric company to get them to come take a look at the branch that is resting on our power line? 3. My husband and kids left the house at 7:10 p.m. and were gone for 2 hours. How many times did I run around the first-floor circle of our house naked? BONUS: how many calories did I burn doing so? 4. Kerrie spent 5 hours scraping wallpaper in the kitchen. She spent 2 hours washing and sanding one wall in said kitchen. How long will it be before she stops procrastinating putting on the spackle? When she DOES spackle the joint, how badly will she mess it up, and how long will it take her husband to fix it? 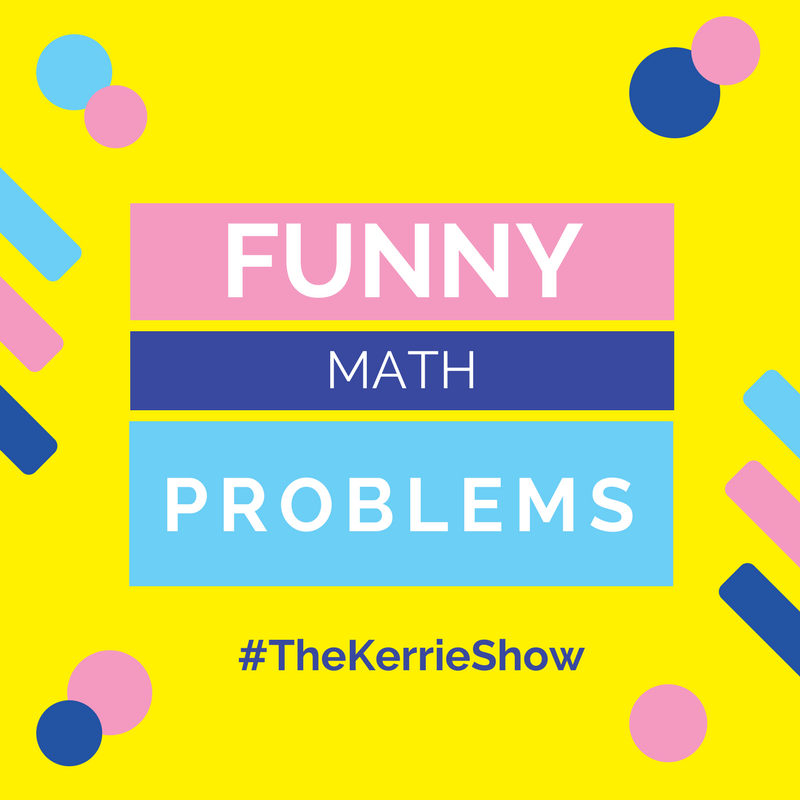 Be sure to check out Funny Math Word Problems #1 and Funny Math Word Problems #2! And check back for more to come!